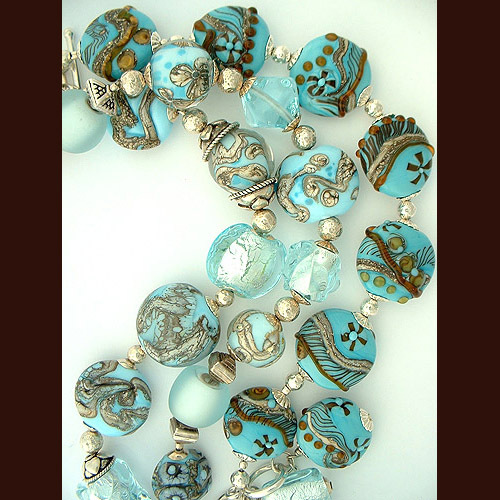 Shelah creates one of a kind, flame-worked, glass beads which are designed into wearable art. Earthy, gem-like, and translucent beads made from Venetian and German glass are strung into her much sought after Bella Dolci collection of bracelets and necklaces. Studio visitors and commissions are welcome by appointment.